Even before the Tampa Bay Rays were bought and their brand re-invented by Stuart Sternberg, the Vince Namoli ownership group tried to convince their young “ shortstop of the future” to a long term deal…..He declined. After his subsequent removal from the then D-Rays Shortstop carousel, he found himself subsequently hopping around the team’s infield like a rabbit at Target Field, but still he was adamant about dodging a long term deal with the new ownership. Some thought he was being arrogant, some thought he was selfish, in the end, he is still doing only 1-year deals with the Rays. Finally Sternberg and Rays Vice President of Baseball Operations Andrew Friedman tried over the last 2 Winters to get this stalwart star to finally commit to possibly signing a deal for longer than one season. Even at this stressful juncture with the Trade Deadline looming like a vulture, there are hints that the Rays still want to venture into possible long term deal. So far all they are hearing is a deafening silence from Upton’s camp. Could this be another legitimate reason the Rays are now positioning CF B J Upton on their top shelf of players available for trade chats? Could Upton’s long standing refusal to stall or put off any long term discussion past the first refusal. 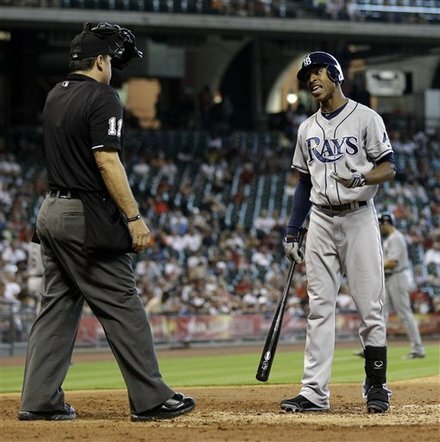 Sure Upton has been known to be sometimes surly and gruff to American League Umpire spats, but inside the Rays Clubhouse and speaking with team officials, he has been nothing sort of cordial.. Legitimately you want a budding star to give you some financial security along with the thought of no service interruptions via a team-friendly long term deal. In Upton’s case, discussions have been held with his agent, but nothing have materialized past the initial talking stage. Pity, a more contract secure Upton could relax until Sunday while the 1-year deals will have him guessing all the way to the end now. Must be frustrating for Sternberg and Friedman to know just as Upton is beginning to finally mature on the field and show that true potential we have been basically begging for for years, he might be dealt because Upton might have ultimately priced himself out of the Rays equation. But the same could have been said for Carl Crawford and Carlos Pena in 2010 as they entered their “walk ” seasons, but they ended up staying with the ball club and helping the Rays to their second A L East title in 3 seasons before departing for the deep pockets of Boston and the North side of Chicago. Teams are poking and prodding at Upton have been quoted to be offering everything from a small package of prospects to “the Moon”. Because New York Mets CF Carlos Beltran has an American League anxiety towards the Designated Hitter position, Upton has vaulted towards the top as a key outfield acquisition target. From Atlantic (Nats/Braves) to Pacific (Giants) teams are throwing together their best package hoping Friedman pulls the trigger. With the surging emergence of Rays outfield prospect Desmond Jennings posting out-of-this planet offensive numbers, it has not only the Rays brass excited, but every MLB Fantasy Baseball geeks. Sam Fuld and Jennings can both play Upton’s Centerfield position and can make a transition pretty effortless if they wish to ship Upton out before the end of the Trade Deadline, or the season.. But with the team on the cusp of falling out of at least an American League Wild Card slot, Friedman might be more willing to at least listen to offers right now. This is not to say if Upton signed a 2-year deal today he would still not be dealt by the Deadline’s last moments on Sunday. But with a year m ore of team control, Upton would not be traded to become a “rental” player. Got to be hard on a guy knowing eyes are prodding him nightly, stats are being compiled in big piles and everything from his speed from Home Plate to First to his bat swing is being monitored and evaluated with intense scrutiny. Sometimes a change of scenery is good for a player mentally, emotionally and physically. 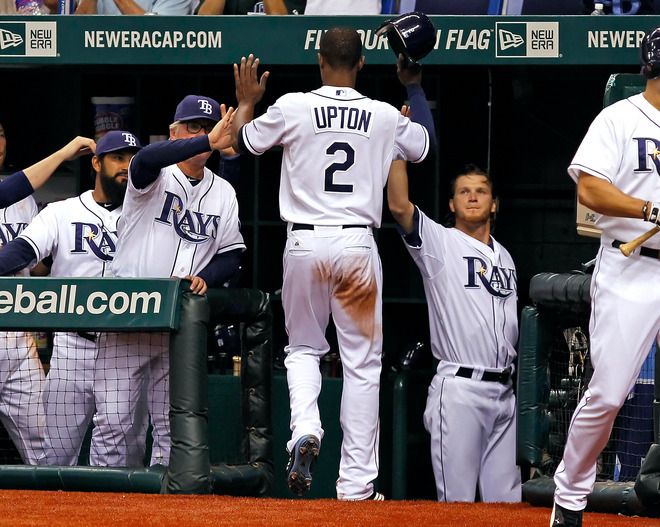 Upton was hyped for so long as the “next big thing” for the Rays. Hints of that ability have risen then fallen just as quickly. 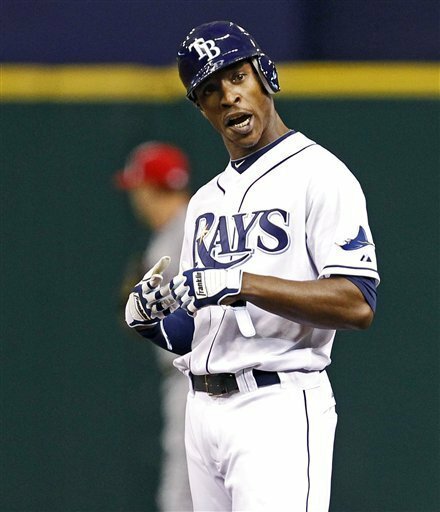 Not matter what happens to Upton over the next few days, you got to give him a ton of credit for not showing the stress, emotional tug-of-war or snap out at the Rays. Rays Manager Joe Maddon has said he has discussed around 65 trade scenarios with Friedman over the past few days. Let’s hope if Upton is in that bunch, the team again gets a return that will help them in the long term. I think Upton will be dealt. I also believe the Rays will get the best possible deal for him because their brass is one of the best in the biz at flipping major league talent for prospects that can make an impact in a year or two. 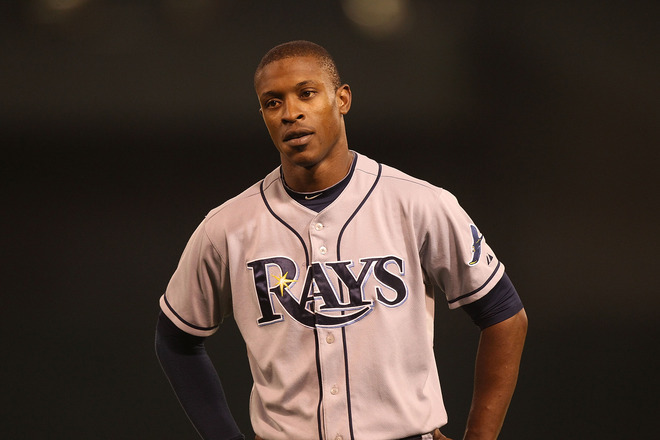 Frankly I think the Rays are better off without Upton. Totally agree that Friedman is a sensei at getting the volume out of his trades. Still think the Rays have the “buyers” mentality with their huge pull-in talent from the 2011 Draft, and their bubbling Triple-A bunch trying to get to the majors. I am of the sound mind (some will debate that) that Upton will be there after July 31st, but gone by September 1st if the Rays fold up their post season dreams. Guess it is wait and see time now.